Maryam Monsef, Minister of Status of Women for the Canadian Federal government, and Randy Boissonnault, Member of Parliament for Edmonton-Centre, on May 4 announced $10 million in funding for projects that address the root causes of economic insecurity for women in communities across Canada. More than 30 projects are to benefit the funding, including Elevate Aviation based in Edmonton, Alberta, which received $426,000. 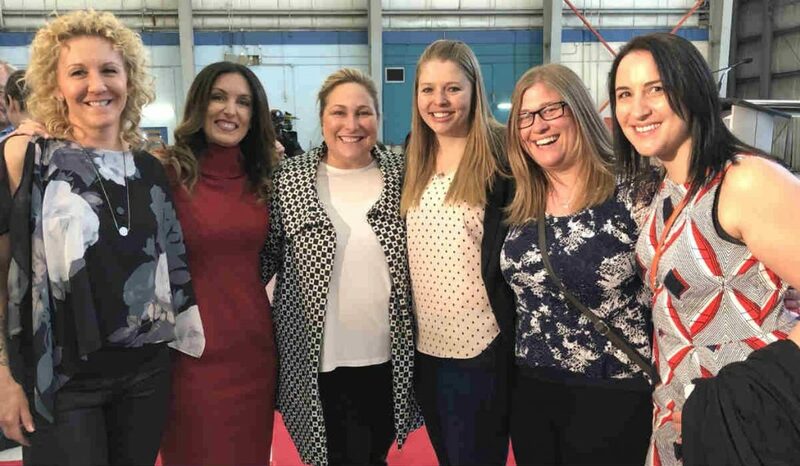 The Support for Women’s Economic Security program was first announced in October 2017 to improve women’s long-term economic stability and advance gender equality in Canada. The Federal government explains, that in 2015, women in Canada earned just 87 cents for every dollar earned by men. They are also much more likely to work on a part-time basis, making up 76 percent of all part-time workers, with 25 percent of women reporting childcare responsibilities as their reason for working part-time. Founded by Kendra Kincade in 2014, Elevate Aviation is a national not-for-profit organization designed to promote the participation of women in aviation. Kincade describes the rise of Elevate Aviation in the May/June issue of Wings magazine in her new column Women in Aviation. She has more than 18 years of experience as an Air Traffic Controller with NAV Canada. Elevate currently organizes tours for young women to experience aviation working environments. Even before the funding announcement, the organization was developing a mentorship program to provide a direct platform for women to thrive and succeed in the industry. The 30-plus projects of the Support for Women’s Economic Security program fall under two themes, including what the government describes as Building Partnerships to Address Systemic Barriers, which provides funding to address barriers that limit women’s economic security, including the accessibility of childcare, the gender wage gap and pay inequity. The second theme, Increasing Private Sector Leadership and Investments in Women, encourages organizations to partner with the private sector to find innovative solutions that will help advance women’s economic security. A report by McKinsey Global Institute estimates that by taking steps to advance equality for women, such as employing more women in technology and boosting women’s participation in the workforce, Canada could add $150 billion to its economy by 2026.